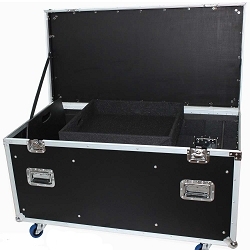 Utility Case W/4x4 Wheels - 3/8 Plywood W/Black Laminate, Honeycomb finish and All Foam padding. 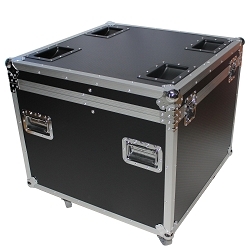 AVMaxx.com offers a full line of heavy duty cable trunks for all your load in and load out needs and different construction types to meet every budget. 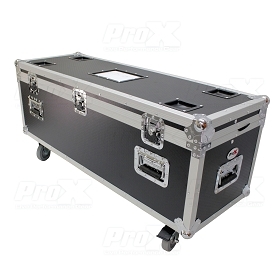 All our affordable cases are manufactured with the highest quality materials to Guarantee Durability! 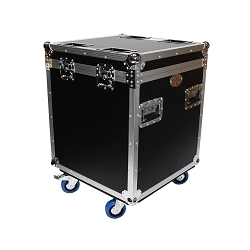 From a simply PA Set UP or huge DJ Gig, Cable Trunks are essential and play a big role on simplifying your tour. AVMaxx always aims to give you exactly what you need. Whether it be a case or a speaker or a light, our expert crew is ready to help! 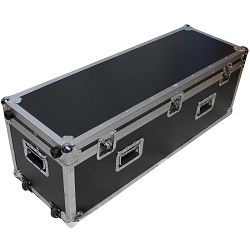 Our cases are well known for being durable and dependable. 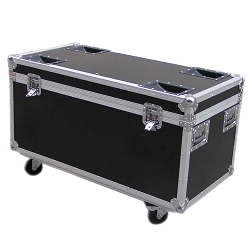 These cable trunks were created with a heavy duty design that is sure to stand up to the rigors of travel and the wear and tear of being on the road. 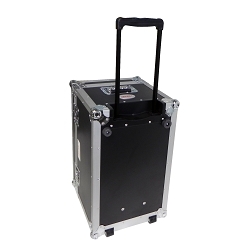 Fits any cables and extra accessories that will help your fellow DJ run things smoothly. They are meant to keep your gear secure and safe! Call our toll-free number at 800-249-9450 for further information or stop by our store and see all of our amazing products in stock.